Rarely do I work on a single WIP at a time. I’m still not sure if this is good writerly behavior or not, but it is something I have to deal with. No matter how much I love a project that I’m working on, no matter how devoted to it, or focused on it I am, I still think about other WIPs. It can kinda feel like I’m cheating on my books with other books, but luckily WIPs can’t have hurt feelings if I neglect one for a while to spend time with another. However, it can be a problem trying to balance projects. Sometimes, I’ll sit down to write, open up a project and start typing away, only to be distracted a few minutes later by plans for a different WIP. I’ll switch to the other one and start working on that, only to be drawn back to the first one again. And, by the end of the day I haven’t gotten much done on either and I’m frustrated with myself. I had this problem in a big way when I was starting PRISCILLA THE EVIL. I was writing another WIP and things were going well, but I couldn’t help thinking about this idea I had about a little girl who wanted to be evil. Finally, I decided to get to a stopping point with my main WIP and see where this other idea went. Six weeks later I had a first draft of Priscilla and could go back to working on my main WIP, which I finished before starting major edits. What I learned from this was that I need to work on new ideas and I need stopping points. Constantly jumping back and forth between projects is not the way to do it. So, now when I have to deal with multiple projects I try to pick one to work on, and pick a stopping point to work towards before I’m allowed to switch to the next WIP. This helps keep me from switching back and forth spastically. If I set a goal and can get myself to work to that certain point, then I can actually get something done and make progress on both projects. If there is something pressing that I just have to write down or risk forgetting for the project I’m not working on, then I’ll take the shortest possible notes before going back to the WIP I am working on. This way I don’t loose any ideas, but I don’t get distracted and pulled off into another work either. This is still a process I’m working on and trying to get better at. There are sill days when I jump back and forth and can’t settle on one WIP to work on, but it’s getting better. Do you all have the same problem? What techniques or solutions do you have for dealing with wanting to write multiple projects at the same time? When I open something I’ve written I expect to know who I’m reading within a few sentences (‘who’ being the narrator or perspective character). If I can’t tell, if I’m struggling to remember, or piece things together, I feel something’s off and get distracted from the story by trying to figure out what’s wrong. Every narrative has a voice, some can be bland and detached, others quirky, but they should try to be unique. ‘Voice’ can be difficult to explain and sometimes hard to pinpoint, but it always makes a difference in what you’re reading. Voice is one of those things agents always say they’re looking for when describing what they want in manuscripts. In first person narratives it is largely the personality of whoever is narrating the story. In books written in third person, it conveys the author’s attitude towards the work, or what they want the reader to think is their attitude, it could be sarcastic or understanding. American Gods is often detached and unemotional, and I often found it distancing. The voice was the reason I’m still not sure whether or not I liked the book, even though I liked the story. Jane Austen’s voice is satirical, it invites the reader to laugh along and you can almost imagine her winking. Recently, I’ve started poking a new project with a stick to see if it might be alive, and it’s given some encouraging twitches. I have the world set up, the plot outlined, and the characters waiting with backstories in hand. I just have one big problem, the voice. If only my main character didn’t sound like Background Teenager #2 from some unmemorable romcom. ‘Come on, Lily,’ I say to the character in my head, like that’ll do any good. ‘How about some more personality?’ And all I get back is a string of curse words, which is not quite how I want to distinguish my new character’s voice. That just feels lazy and like cheating. I should be able to give her something besides a sailor’s mouth to distinguish her narration and make it her own. I should be able to give her distinctive speech patterns, commonly used words, and phrases which mark her apart from other characters and standard ‘teen speak.’ So far it hasn’t really worked. Mostly I think this is just something I need to work at. I need to write while keeping in mind what should be characteristics of her perspective and speech. Then, when I edit I need to go through line by line to make sure those characteristics are present throughout (not just when I remembered to include them) and the entire narrative has a coherent voice. Sometimes voice comes easyily and naturally and that is always the best. It’s not something that should be forced or it will probably read as inauthentic. That doesn’t mean that it doesn’t take work, though! You still have to find the right patterns and make sure to use them correctly. Have you had trouble getting the voice right for your WIPs? What did you do to get it right? Let me know in the comments! Jennifer Fitzgerald is the author of a middle grade fantasy novel, PRISCILLA THE EVIL, which she is currently revising. She is also is a Ph.D student in archaeology, focusing on East Asia. You can visit her blog here or follow her on Twitter. Understanding how money works is important in everything from historical novels to fantasy and sci-fi. It forms an important part of the internal logic of a world and mentions of money that don’t seem to fit the world can jar the reader. While you might not have to work out the relative prices of everything, it helps to know what’s cheap and what’s expensive and how much money makes a person rich or poor. Then it’s possible to make consistent references to things like the prices of goods and services. In the pre and early industrial era, labor was cheap while goods were not. Goods had to be hand made and luxuries were shipped around the world in a time consuming and dangerous process, then heavily taxed. This made things like cloth expensive. In the Georgian period a servant’s uniform could cost as much as their annual salary, and a silk handkerchief could buy a week’s worth of food. That’s one of the reasons why you can’t just convert old prices into modern numbers, the value systems are different. In modern times mechanization has made production quick and cheap. Quicker and safer methods of transportation have made it possible to outsource manufacturing to poorer regions, keeping prices down even as wages rise. In industrialized nations, labor is expensive, especially specialized labor, while in developing nations it is still generally inexpensive. Decreases in population can make labor more valuable as well. After the Black Death spread through Europe, serfs were able to gain increasing freedom because their labor became more valuable. Land values work in similar ways. In a feudal system where the economy is mainly dependent on agriculture and local produce, land in the main source of income. But in an industrial society it can be a major burden with upkeep and taxes and without peasant labor. So, if you’re writing anything that’s not contemporary, it’s important to keep in mind the fact that money should work differently. -Other Valuable Objects: Often shells, like cowries, which were used at various times worldwide. Wampum belts were belts of shell beads used as currency and also to seal treaties and commemorate events among Native American tribes on the eastern seaboard. -Paper: Typically resisted at first as it lacks intrinsic value. Some forms of paper currency include promissory notes from banks promising to pay actual money on request. These evolved into modern banknotes, or paper money. -Electronic: most money currently exists only in computers and records, not physically, and can be wired from place to place or transferred by use of cards or transfer numbers. Have you given much thought to what your characters buy and how they buy it? 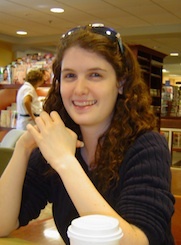 Jennifer Fitzgerald is the author of a middle grade fantasy novel, PRISCILLA THE EVIL, which she is currently querying. She is also is a Ph.D student in archaeology, focusing on East Asia. You can visit her blog here or follow her on Twitter. I’m already a big Terry Pratchett fan, so I was excited to read his YA work, though this book is pretty much Middle Grade. It’s got a couple of large vocabulary words that might throw young readers, but they’re usually explained right there in the text. I don’t know many books that can use susurrus effectively, but this is one of them. The writing is engaging, as Pratchett normally is, and because it’s aimed at a younger audience than most of his Discworld books, it doesn’t have the same references to new technology and politics. I found it to be a nice change that helped set more of a fairy-tale feel for the book. “Another world is colliding with this one,” said the toad. “All the monsters are coming back. Tiffany hits monsters in the face with a frying pan. I approve. She’s also a strong character, with flaws and weaknesses that she has to face before she can confront the Queen. Reading this I empathized with Tiffany, I remembered being eleven and how annoying it was having to help with my little sister and loved how dead-on this little know-it-all was written. I really enjoyed the characters in general. The Feegles are hilarious and inappropriate. It was fun to have cameos of Granny Weatherwax and Nanny Ogg, to tie the story into the rest of Discworld, and they managed not to steal the show. The monsters were great too and I loved the way the fairyworld was described as a parasite latching onto and bleeding through to the real world. One thing that might annoy some readers is the way flashbacks are woven into the narrative. I’m generally not a big fan of flashbacks, especially when they appear as big chunks of italicized text, but I thought they worked well in this book. 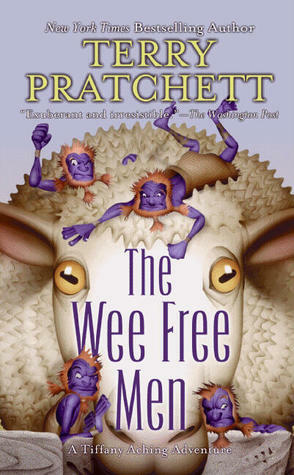 The Wee Free Men is a fun read and I’d recommended to anyone, but especially Discworld fans and those who still enjoy kids’ stories. This summer when I was working, I’d get home after work, scrounge up some dinner and sit down to write a thousand words or do some editing. Every night. It was a routine that worked. But then, this fall I moved to Boston and started grad school and that’s meant some pretty major changes in the way I write. Classes, homework, exploring the city, and a social life have all wreaked havoc on my writing life. Not only don’t I have a regular schedule, I’ve felt like there was no time to sit and write when there were a million and a half other things I could/should be doing. So, I tried taking a bit of a break from the project I was stuck on. I hoped I would develop more of a routine and things would settle down enough for me to have regular writing time again. The problem then was that I hate not writing. It felt terribly strange not to be actively working on a project, like there was something missing or that there was something else I should be doing. I would get distracted at odd moments by the thought that I hadn’t written anything that week. And then I’d feel bad about it. As you can probably imagine, this didn’t last very long. After a couple weeks I was putting off homework to fight with outlining. Also not the best plan in the world. Balance can be difficult to come by, but there’s always a way to find it. It’s taken a while, but I finally think I’ve figured out a way to survive school, friends, and writing, again (somehow this was much easier in college). -I bring a notebook with me and write on the subway on the way to school. This is also good for improving balance, but not so much handwriting. -In between classes I grab a few minutes to jot down ideas. -I use the time when I’m standing around waiting to plan out scenes in my head. -After finishing homework for one class I’ll give myself half an hour to write before starting the next class’ readings. More generally, I think it’s important to set goals for yourself. But also recognize that you won’t always met them and that’s OK. You can’t let missing one or two goals discourage you enough that you give up. Stay flexible, promise yourself that you’ll make it up later, and then actually try to do that. Have a journal, a writing notebook, or even just some paper with you so that you can get something done during time that would otherwise be wasted. Carrying around a notebook is also great for writing down ridiculous quotes or the kinds of quirky behaviors we writers feed on. Don’t get sucked into the wilds of the internet (but do keep reading Let the Words Flow!). It’s too easy just to zone out and then realize an hour has gone by and you don’t even remember most of the things you just read. Set time limits so that facebook doesn’t eat all your free time. All those pictures? Don’t worry, they’ll be there forever, you can look through them later, your WIP wants your attention more. And don’t shy away from living life. Keep hanging out with friends, reading books and going to movies. As Billy wrote last week, you don’t want to end up brooding with no new sources of inspiration. How do you all manage to make time for writing in a busy schedule? Do you have any tricks for getting extra time to write? The National Foundation for Advancement in the Arts’ YoungArts Program (www.youngarts.org) is currently accepting applications from American high school seniors for next year’s program, but the deadline is October 15. Check it out if you’re eligible! I’m a visual learner and lately, I’ve been thinking about how that affects how I plan out and write projects. We’ve talked about outlining a couple times on the blog so far: who uses it, how they do it, and what works for each of us. One thing I do, which might seem a bit odd, is think of difficult scenes in terms of comic panels. I’ve always read comics (I’m currently reading at least ten web comics and have a decent graphic novel collection). That’s super nerdy, I know, but it helps me when it comes to figuring out how to write scenes where I have a lot going on. You might think a webcomic is such a different form of media that there isn’t much a novelist can learn from them, but you can always learn something new from different forms of storytelling. Thinking of your narrative in terms of comic panels can help you visualize the setting and blocking for the characters in a scene. It forces you to think of where everything is in relation to everything else, and what’s important. You can’t include everything so you have to find the major actions to focus on. It’s like mental storyboarding. It starts with a noise on the other side of the room, focuses in on the source, gives us the character’s reaction, and then throws in a surprise (the other character who’s been out of sight for a while). Thinking of the scene in snippets like this makes you think about how the characters move through space and helps keep track of them. You don’t want them running all over the place, tripping over each other and occasionally pulling some kind of unintentional quantum trick and appearing in two places at once. That would be okay if you were writing about The Flash, not Clumsy Sidekick A. In order to help me figure out the set up of action scenes (where I do this the most), I ask myself things like: Where’s everyone who is important? What are they doing? Is there any way they might interfere with the main action? Do I want them out of sight and out of mind? Since I’ve been doing this I’ve stopped loosing my secondary characters. The other major area where this has helped, has been in deciding what parts of the setting to describe. Pictures can accomplish this much faster than descriptions, but most artists don’t want to sit and draw every single minute detail of the background. They choose what to draw, and everything serves a purpose. You don’t want to bog the reader down with pages of dense description so, like the artist, you have to decide what is most salient to the mood and the plot and what can convey the most information about the setting. I’m not saying this will work for everyone, but give it a shot. Trying breaking a tough scene down into panels, understanding what is most important to get across to the reader, and then putting it all back together with prose. I’d love to know if anyone else writes this way, or if you all just think I’m crazy! LTWF Anniversary…What A Year It’s Been! Looking back to last year, it’s hard to believe how far this blog has come in just twelve months. When I got the idea for Let The Words Flow, I had very few writing friends—fewer still from FictionPress. The FP friends I did have didn’t know each other—didn’t know that there were others out there, struggling to make the leap between FP and publication. The only proof I had that you could make the jump was embodied in Mandy Hubbard, our resident rock star, who supported this group from Day 1. I knew that if Mandy was on board, we’d have a degree of credibility—Mandy, with her multiple book deals and oodles of success, was our poster child for all that we could accomplish. But there had to be more of us out there—there had to be other FP people with book deals, or agents, or querying agents. So I looked. I looked and looked, browsing through the profiles of other FictionPress “Greats.” And I found a few—enough to start a blog, if they would only join Mandy and me. I still remember the terror and anticipation of sending out those initial emails to potential contributors—I remember praying that any of them would respond to me. After all, very few of us were friends—in fact, most of us had been fierce rivals on FictionPress. We never talked, and if we ever came across each other, it was in fan-run contests that did nothing but increase the tension between us. We were all islands surrounded by a sea of adoring fans. You can’t imagine my surprise when all of them not only replied to me—but they all accepted my offer to join LTWF. The biggest surprise came from Savannah J. Foley not only accepting the offer, but being absolutely thrilled to join the group. She’d been one of my biggest rivals on FP—QUEEN OF GLASS and WOMAN’S WORLD were always matched up against each other in contests. But it was our similarities, not our past differences, that bonded us: we both had agents, and had both started submissions to editors. Though she had a ton of potential, I had no idea—none—that she would become not only a close friend, but also the solid foundation upon which LTWF would be built. I will admit, initially, I was swamped. I managed a lot of features on the site, and would often bolt upright in the middle of the night to realize something needed fixing. We only posted three days a week, but it was enough to keep us all busy. We survived the initial few months, and our readership grew more and more every day—we actually had readers! We had people who were interested in our journeys, people who were having journeys of their own—people who were interesting and brilliant and oh so lovely. One of those people was Biljana Likic. A long-time friend of mine from FP, Billy is a bit of a child prodigy—though she was only 17 at the time, her writing was (and is!) incredible. At the risk of sounding like an old person, Billy showed a tremendous amount of potential. She’s also wonderful person—funny, kind, and clever, and she brought a much-needed burst of humor and fun to the group dynamic when she joined in January of 2010. With Billy on board, we had enough members—and enough readers—to start posting more frequently. We dared ourselves to start posting five days a week. I fretted over that (when am I NOT worrying? ), wondering if we could possibly keep it up, and how we could keep our readers interested. I also wondered if we had enough diversity in the group—there were plenty of aspiring writers in LTWF, but what about the other side of the desk? What about aspiring agents and editors? That answer came in early March, in the form of Vanessa Di Gregorio, an aspiring writer attending a publishing course, but also an intern at a literary agency with dreams of working in publishing. The other side of the desk didn’t look so empty anymore. Of course, we had no idea that being on the other side of the desk would later be the way we got hooked up with prizes for all of our giveaways, or that she’d become the Grand Dame of our Saturday Grab Bag posts and book reviews. Or that she’d be the one to revamp our site and become the ghost behind our twitter account, taking it from 50 or so followers to over 450 followers (and counting)! By that point, it seemed only natural to add Jenn Fitzgerald to our ranks in late March. Another aspiring author, Jenn spends her days living out one of everyone’s childhood dreams: working as an archaeologist. 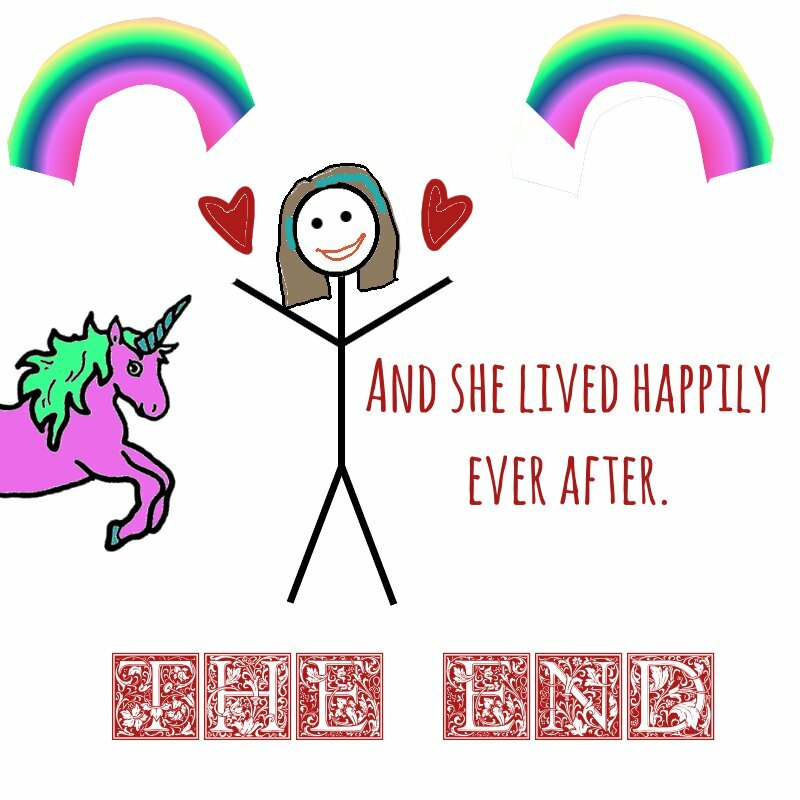 Her adorable MG novel brought a bit of a change from our usual YA fare, and her determination to keep querying and writing, despite digging all day long, made her an inspiration. At this point, we found new members left and right. We had people applying to be in the group. That absolutely blew my mind. In the group itself, the number of emails back and forth skyrocketed. Communicating with my contributors was no longer a daily thing, but an hourly one. Girls who I had once seen as my enemies were my confidantes and cheerleaders. I’ll never forget the joy of sending an email to them, announcing my book deal with Bloomsbury—and I’ll never forget crying in my car as their replies showed up on my blackberry. Sharing that moment with them was one of the best moments of my publishing journey thus far. In the wake of getting a book deal, one of the congratulatory wishes I received was from a FP writer named Julie Eshbaugh—who sent me a message to say that LTWF had inspired her to keep querying, and that she now had an agent. She was so passionate about the group (and had received multiple offers of representation!) that we knew she had to join us. So, in early April of 2010, she did. And she meshed perfectly. With so many members, we no longer had to worry about filling out the calendar. In fact, we were all so eager to post that we added another day of posting, and in May, we kicked off our Saturday posts. Swamped with pre-wedding preparations, I had to step back a bit from my LTWF duties. I wondered if this group—which I had once managed all on my own—could function without me for a few weeks. Well, to my delight, it could—and it did. The site that I had struggled to maintain months ago was suddenly a well-oiled machine—people had assumed responsibilities without even my asking. Realizing that it had become a community-run blog was one of the proudest moments I’ve ever had. One of the members who would later become a huge help was Kat Zhang. She submitted an application that blew us all away—not only was she querying agents with a wonderful manuscript, but she was also an amazingly talented spoken word poet. We had tentatively discussed not taking on any more un-agented new members, but Kat’s humor, kindness, and brilliance won us over. We knew it was only a matter of time before she landed an agent. And this September, she did. Kat claims she didn’t cry the day she got the call, but I think a few of us cried enough on her behalf to compensate. After Kat joined, we had a dilemma: did we have too many members? Were our readers getting detached from the warm, cozy atmosphere of the site? It would take a truly incredible member to get us to change our mind. We found two. Sammy Bina originally joined us as a month-long guest contributor, though by the end of week 1, it was pretty apparent that we had to have her forever. An intern at a literary agency, Sammy brought invaluable advice to our readers regarding all aspects of the querying process—and as an aspiring, querying writer, she was also a contributor our readers could connect with. More than that, Sammy was also a part of the wildly-popular Plagiarism Haven group, and many of her readers became LTWF regulars. If you attended our latest livechat, you’ll know that she’s a firecracker, and provides us with endless hours of entertainment (which is obviously the most important thing she could do!). The last member to join our ranks was Vahini Naidoo—who came to us just days after accepting an offer of representation from an agent (after receiving multiple offers)! Not to mention, she’s still in high school (way to make us all feel bad, Vee!). Hailing from Australia, Vee took LTWF from a North American group to a truly international one, and her dry sense of humor melded beautifully with our group dynamic. Had you asked me a year ago if I knew that the group would become so large, and so diverse, I would have laughed. When I started the blog, I had high hopes, but I never thought farther down the road than a few months. Now we think in years. One of the exciting new features that we’ll be adding is our free online creative writing course, which will begin in February of 2011 (details soon to come)! We’re also planning tons of livechats (next month: querying! ), adding some new members, and we have a few more surprises up our collective sleeve. But we wanted to do one more thing—just to say thank you to the readers who have helped make this blog such a success. In honor of our one-year anniversary, we’re going to be giving away nine gift baskets customized by each LTWF member! On Saturday, we’ll post the official contest announcement/sign-up, but gift baskets will include contributors’ favorite books, moleskine notebooks, and much, much more! Because we owe it all to YOU. We never could have added new members—we never would have met each other—if we didn’t have readers coming back every day, asking us QOTWs, entering our contests, and turning this blog from a dream into a reality. A year ago, that’s all this blog was—a dream. A dream that we weren’t the only FictionPress people trying to get published. And if there’s any moral to this post—to this blog in all its entirety—it’s that you are not alone. I think that’s what took us all by surprise: despite years of rivalry on FictionPress, we are more similar than any of us realized. We are not alone. We are no longer islands. Thank you all for proving that. Saturday marked the beginning of Banned Book Week. Here at LTWF we’re dedicating the whole week to awareness about banned books. We’ve got a lineup of fantastic articles, culminating in our announcement of our banned books-inspired book of the month for October on Friday. This coming Saturday we will post pictures of ourselves with our favorite banned books, and pictures that our readers send us. One lucky reader will even get a giveaway prize! There were only ever two books my mom told me I was too young to read (this was in middle school). They were The Hunt for Red October and Dragonsdawn. So, of course I immediately snuck them off the bookshelf and read them when she wasn’t home. Later, when I was admitting that I’d just finished The Hunt for Red October, I asked her why she’d told me not to read it. She said it was because she thought they were too difficult to understand and too violent. I’d thought it was because they dropped f-bombs, and hadn’t registered the violence as being worse than anything else I’d read. Either way, it had backfired. That’s the thing—making something forbidden only serves to make it more interesting. You tell a kid: “Hey, you should read this Tom Clancy novel,” they’re probably going to ignore you. But, if you tell them: “Hey, you really shouldn’t read this Tom Clancy novel,” you’re probably going to have to pry it away from them. Kids are not as innocent or stupid as their parents like to pretend and the books they read in school are usually far milder than PG-13 movies and pop music (Seriously, Lady Gaga, disco stick?). I can understand parents not wanting their children to read a book they find inappropriate, but they don’t have the right to make that determination for someone else’s children. In the end, they are probably only ensuring that more people read whatever it is they find objectionable. The same motivation holds true for adults. Who hasn’t clicked on a link they were warned against? For example, don’t click this, it’s bad for you. We have to allow dissident opinions and controversial works, in libraries, schools and daily life. I’m sure there are plenty of books we can agree it would be ridiculous to ban, like the Harry Potter series. And as long as we continue to fight for these books we will preserve our right to read them. But, we have to extend the right not to be banned even to the things we don’t agree with or find offensive. Otherwise, how will we refute them?